If you want to compete with the big dogs, you have to play like the big dogs. There is no case in which this is more true than in big business versus small business. So when it comes to recruiting talent in your small business hiring efforts, it’s important to strategize in a way that attracts top talent to your company rather than a large corporation. Think Google, Apple, and Microsoft. These big name companies have been working for years to build their brand, and we’re not just talking products. We’re talking about talent acquisition and recruitment. They’re known for getting the best and the brightest, having some of the toughest job search processes and providing a great work life balance to their employees. 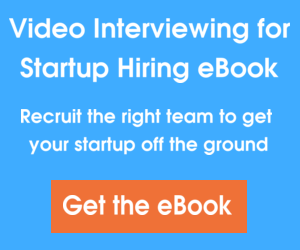 Your goal in small business hiring is to recruit like the powerhouses. Decide on a reason why your small business is the best place to work and promote your strengths within and outside of your industry. The Washington Post suggests that you emphasize that working for a small business is better than working for big business. Some of their reasons for this include more opportunities to grow professionally, greater say in big decisions and more chances to stand out and move ahead. When working to recruit these job candidates, tout these benefits. Provide examples of employees who have successfully moved through the ranks. Show the career path that new hires can hope to embark on with your company. Talk to them like they’re worth investing in for the long run. Finally, The Washington Post states that you have to outwardly promote your personal brand and why you’re the place to work as you recruit. This can be done through several different channels like your website, social media and sponsored workshops or forums. Make sure that the “personal brand” of the company is prominent in job postings, social networking and in-person interactions. Through this promotion, you’re combining your efforts of personal branding and selling small business as a better working environment than big business. As you develop this personality within your industry and act upon it, you’ll develop the type of workplace reputation that attracts job candidates. As a result, online recruitment and talent acquisition will come easily, and the right candidates will be flocking to your job opportunities. How does your small business work to compete for the large company job candidates? Share in our comments now!